Groups are tools for collaboration among students and teachers. A group project can be started by any member of the group. Projects are essentially a special type of discussion with a specific time frame. Here is a brief overview of Groups. 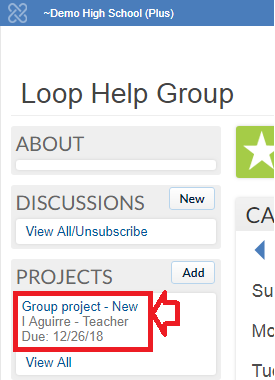 To create a project click the blue Add button in the PROJECTS section. 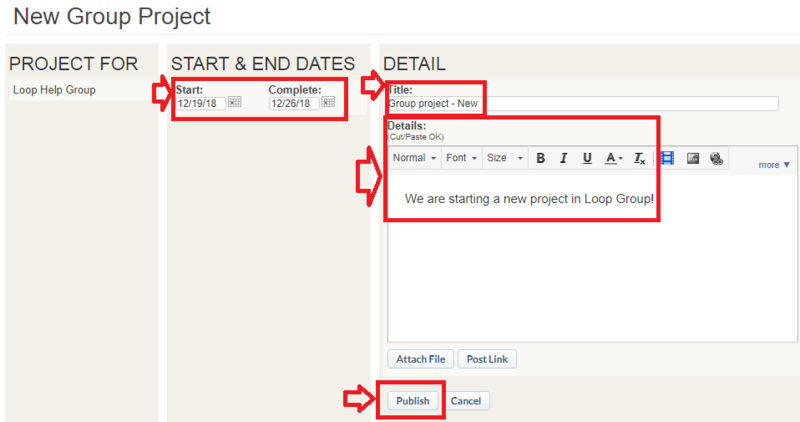 Fill in the details like Start & End dates, Detail section of the project and select Publish to post the new project to the group members.